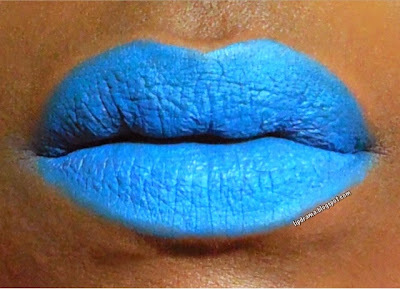 Blue lipstick is like the new purple. It's growing on people and starting to pop up more frequently. I like blue. It's bold but I think anyone can rock blue. Just gotta find the right shade if you're shy. This is a nice shade. Similar to Harlem Knight by Ka'oir but maybe a tad lighter. 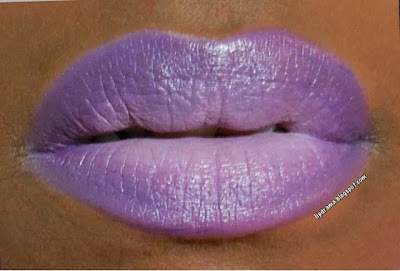 I haven't purchased anything from Ka'oir yet but I have lots on my wishlist. This applied evenly and is very pigmented. 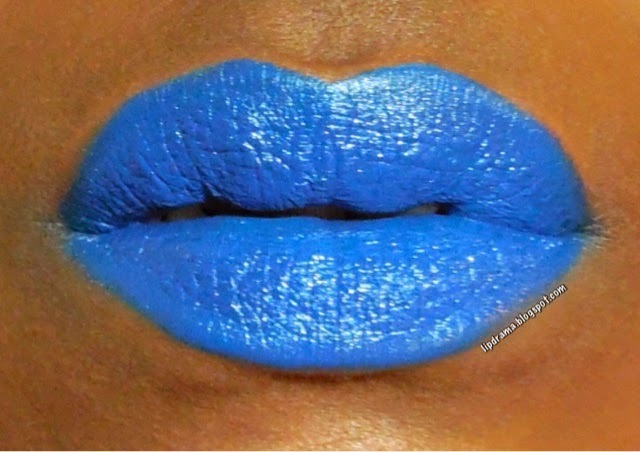 Below is Blue Lagoon topped with NYX Wicked Lippie in Sinful. It darkens it just enough to make this a more wearable shade of blue. Of course I'd wear it both ways but darker shades of blue are easier to wear for those trying to ease their way into unusual colors. Plum Wine is definitely one of the more wearable shades in the collection. It's a berry shade that would be great as an everyday color. This applied evenly and wasn't at all patchy. No complaints. Lavenderism was disappointing. It was hard to apply evenly and doesn't look great on it's own. Well at least not on my skin tone. It looks more pink here but it's a very pale lavender. I did, however, like how it looked when combined with a darker purple lipstick for a ombré look. Based on the swatches I did in store, I thought this was more of a burgundy. But it's actually a brownish red, which happens to be very much on trend now. 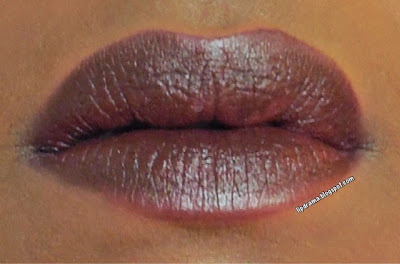 The 90's brown lip is back. I've never been much of a brown fan being brown myself lol. 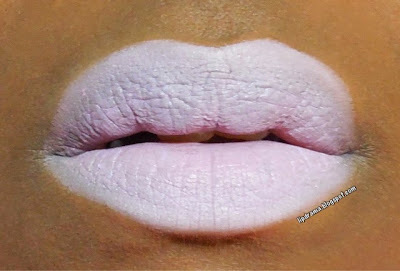 But if you find the right shade it can work for deeper skin tones as well. This leans more burgundy than brown so I don't mind it as much but for me it is a big change from my usual bright colors. I did find it applied slightly patchy but still very opaque. 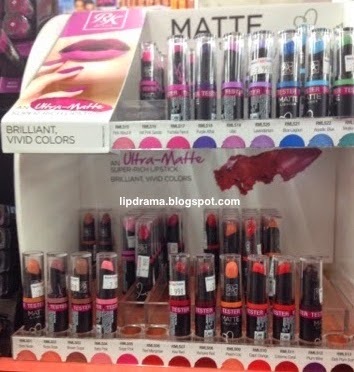 Overall, I think these lippies are an excellent alternative especially for someone who likes offbeat and unusual colors. Ruby Kisses includes blue, mint, gray, purple, black as well as a range of more traditional colors in pinks, nudes and reds. 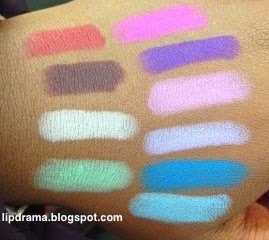 For the price of $3-5 it's worth a try especially considering brands that offer comparable colors are much pricer. They are full coverage but apply patchy at times. For the price, I say grab a NYX liner for a great base to make these pop even more. 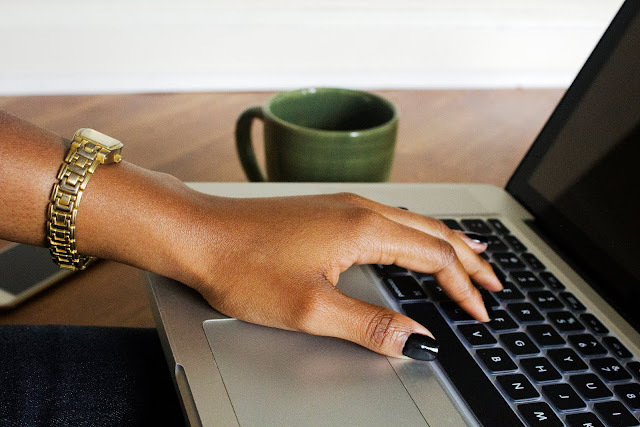 The ultra matte formula can be a little drying so make sure to prep your lips by exfoliating and adding a little lip balm underneath when wearing. 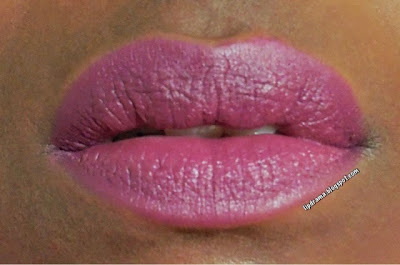 The wear time is 4-6 hours and the matte formula makes these very versatile. Try adding a bit of gloss for a shiny alternative. Find these at your local beauty supply store or online on their website.